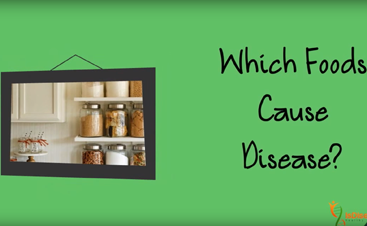 Expert Diet Advice: 'Disease Proof' - Is Disease Hereditary? Continuing on the exploratory path of expert diet advice, today’s blog is a synopsis of the book Disease-Proof. Although many of the foundational aspects of a “healthy diet” are similar in many of the expert-written books I’m reviewing (listed below), some of the differences can leave you stumped as to what you should (really) eat…or not. Some food items are banished by some experts yet are encouraged by others. I had to laugh out loud the other day when I read somewhere “not to eat olives”…..seriously?! However, these experts’ books are filled with tons of healthy ‘gems’ and great advice. Hopefully, my time and effort of reading through them to extract and assimilate something simple to guide you on your journey will prevent you from becoming discouraged by information overload or contradictions. The approach used by any one of these experts might resonate with you, which will help you start or refine your healthy eating and lifestyle habits for you and/or your family. Or you may consider my program where I use elements from all of these books to help discover a method that’s right for you. Preventative Medicine & Public Health Specialist. Founding director of Yale’s Yale-Griffin Prevention Research Center. Globally recognized for expertise in nutrition, weight management, and prevention of chronic disease. Dr. Katz summarizes data and results from a number of key studies regarding nutrition and disease prevention, plus reviews numerous cases where he has helped patients in his own practice. He focuses on nurturing your own nature, building your nutritional knowledge to help reinforce your new healthy skills, becoming aware of why you eat the way you do, and then making changes. His premise: Genes do not determine your weight or your future health…it’s what you provide to your genes. Eating healthy and exercising allow you to write your own genetic future. In other words, are you physically active, eat well, and don’t smoke? If so congratulations because according to the EPIC study, you have likely just reduced your risk of developing any chronic disease by 80%! The 2009 EPIC (European Prospective Investigation into Cancer and Nutrition) study followed 23,153 Germans throughout their lifespan. At the beginning of the study, the participants’ ages ranged from 35-65 years. The researchers tracked the impact of the following 4 healthy factors on their lifespan. The results of the study demonstrated that the presence of any ONE of these healthy factors was associated with a 50% decreased chance of developing any chronic disease. If all 4 healthy factors were a part of their lifestyle, they had an 80% decreased risk of any major chronic disease, and an astonishing 93% reduction in the chance of developing diabetes! This is one of several studies Katz references throughout his book….really fascinating results. He provides heaps of detail on the elements that he considers to be a healthy diet. He advocates a diet founded on the Paleolithic principles of lots of plant foods and some animal foods, with regular consumption of whole grains and beans. 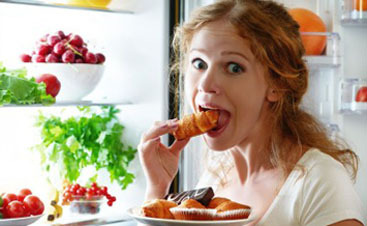 Eating behavior is also addressed with many useful solutions to common problems. Many more aspects are covered in detail. Overall, he addresses healthy lifestyle habits from a fairly holistic perspective. Katz provides a plethora of information from clinical studies and his own practice experiences to support his approach. Additionally, the book is filled with solutions for changing habits, identifying healthy food, cooking, shopping, and more. Those who like clinical results and comprehensive information on healthy eating and exercise that is written in a matter-of-fact style will likely enjoy and benefit from reading Disease-Proof. If you prefer general guidelines, are not into tons of detail, or you are a strict “Paleo” follower, you are less likely to enjoy this book. Personally, I enjoyed the clinical study data and the comprehensive approach, but found myself a bit bogged down with the detail on food serving sizes and percentages of daily calorie consumption. I needed a calculator and a scale to translate the nutritional suggestions into my everyday eating approach. He and his wife, Catherine, each have interesting websites worth checking out.